This is a dessert style red wine that my brother and sister in law gave us for Christmas. In hails from Virginia and proves yet again that this state is an up and coming wine region. Reddish purple with a nose of stewed raspberries, honey, raisin. On the palate- prunes, smoke and stewed plum. Caramel notes with sherry hints show up on the mid palate. The 17.9 % alcohol is well disguised, so beware! The finish has some delectable tannins that mingle with a rather long rendition of plum torte meets blueberry pie. I’m no expert on this style of wine but I reckon it might be worth 89 points and a delightful way to end a big roast supper! For $39 it gets 3 stars from me. Made from the Chambourcin grape and fortified with grape spirit brandy. Salut…. 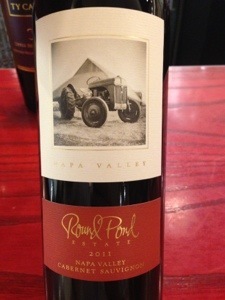 Another Napa Cabernet that I got to taste at the AMEX Centurion Lounge at SFO airport. This one was a dazzler, but give it time. Portlike nose with honeyed blueberries and some juniper hints. The initial attack is all blue fruits and a crescendo of brooding tannins. This is one heck of a monster, built for the long run or a trip through the vinturi. 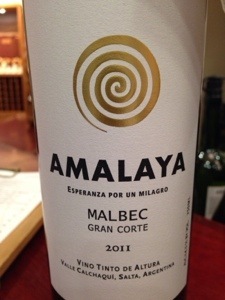 The mid palate shows darker fruits with plum torte, espresso and a delicious minerality. The finish carries on with the tannic structure and leaves the gums bone dry. Give this wine a wide berth until 2019 but buy lots, it will run for many years after that. 92 points from me even though the pros gave it 90 and said drink now. I found it online for $39 which make it a 4 star, perhaps even 5 star wine in my books. This wine epitomizes Napa Cabernet for me. Enjoy with a hearty pasta dish, steak with asparagus or a grilled leg of lamb. Salut….